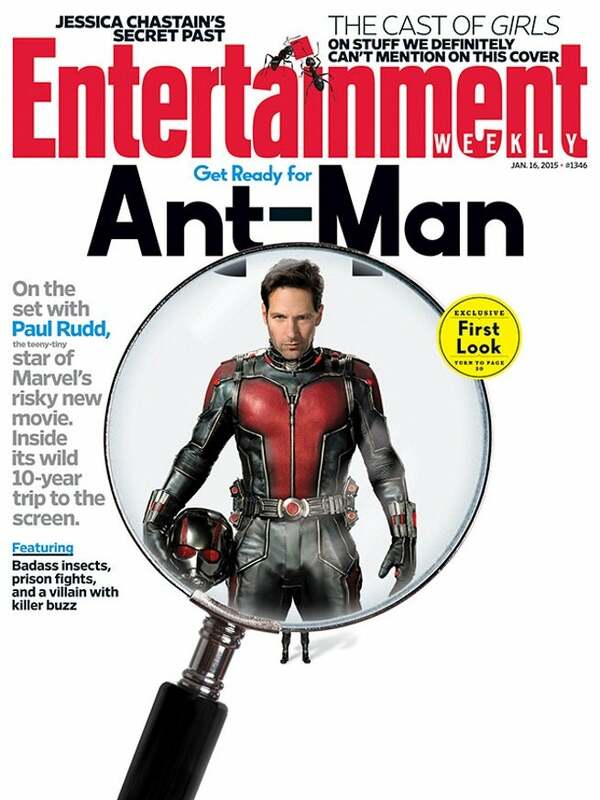 Paul Rudd appears on the cover of the latest issue of Entertainment Weekly, in full costume as Scott Lang in Ant-Man. The cover appears to the same as the first official Ant-Man film poster, released earlier today, but placed under a microscope so that you can actually see the hero. This is the first we’ve seen of Rudd actually in the Ant-Man suit, with helmet under his arm.